Fancy brewing your very own coffee, or produce a delicious ‘molecular’ sorbet? Visit is-Suq tal-Belt during Science in the City and meet the coffee experts who will guide you on an exploration of the differences between Arabica and Robusta coffee, two of the world’s most popular coffee beans. Visitors will be guided though the journey of the chemical process of the different coffee extractions. 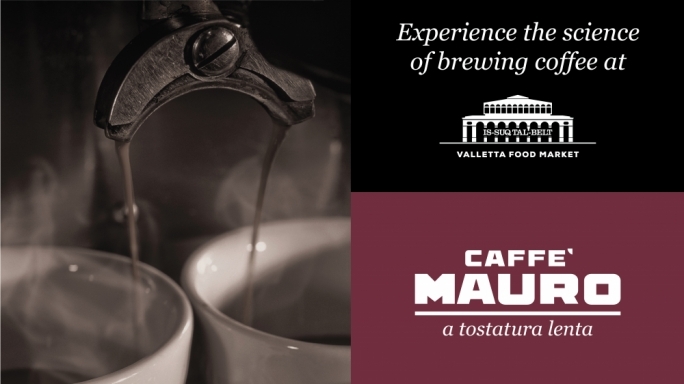 End this exciting journey by brewing your very own coffee! And you will find out how sorbet has a science like anything else: once you learn a few things you’ll be ready to turn any fruit into fresh, full-flavored, and creamy sorbet. Join the brilliant mixologists at Is-Suq Tal-Belt and watch them create mysterious and delicious molecular sorbets. After experiencing these scientific processes, you can savour a taste of delicacies from around the globe from one of the various food stalls at is-Suq tal-Belt where dining, unwinding and experience all come together to create an enjoyable evening.